Rivertowne is a wonderful waterfront community whether you buy a home in Rivertowne on the Wando, Rivertowne Country Club neighborhood or Planters Point. This community has it all - waterfront living, outstanding amenities, the Rivertowne Country Club and the schools are excellent. The location provides easy access to the beaches, Mt. Pleasant shopping and historic Charleston. Be sure to Read more about Rivertowne below the listings. Welcome to Rivertowne on the Wando. A gorgeous riverfront location in the Rivertowne Development. Conveniently located just off of Highway 41, there are 458 home and home sites that make up this peaceful and prestigious neighborhood. 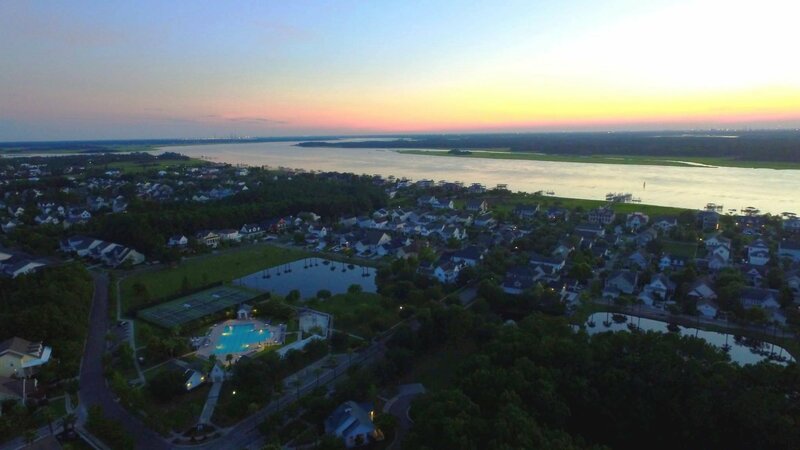 With a sense of comfortable seclusion and tropical relaxation, Rivertowne on the Wando still maintains the wonderful convenience of being about 15 minutes from the beaches, a short drive to historic downtown Charleston, minutes from grocery stores and the famous Mt. Pleasant Towne Centre. The Rivertowne on the Wando Social Committee fosters a cohesive community by organizing fun events for the entire community so that neighbors can meet and socialize with each other. Whether it's the annual fishing derby for the kids, the kids swim team, the monthly Bunco games, the winter chili cook-off or the Fourth of July waterfront fireworks extravaganza this neighborhood is certain to be the one you’ll love to call home. Welcome to Rivertowne Country Club. This upscale community is built around the nationally acclaimed Arnold Palmer golf course. The natural and peaceful setting of this neighborhood provides an old-fashioned feel with newer custom homes and pristine landscape that is sure to appeal to the most discerning gardener. If the elegance of a home located on the golf course doesn’t appeal to you, perhaps a custom marsh front home or deep water home surrounded by live oaks will suit your needs. Rivertowne Country Club has something for everyone. Only 15 minutes to the beaches, a short drive to famous historic downtown Charleston, minutes from grocery stores and the Mt. Pleasant Towne Centre. Whether you are an avid golfer, or have children that would enjoy the children’s swim team or Junior Golf Academy golf camps, maybe you would be a winner at trivia night at the clubhouse or ladies you would love a night out with some of the neighbors. Rivertowne Country Club is sure to be a place where you’ll stay active and engaged with the community. We are available to answer any questions you may have at 843-259-9913.